Saturday, November 17 at Rhinegeist Brewery, 1910 Elm Street. 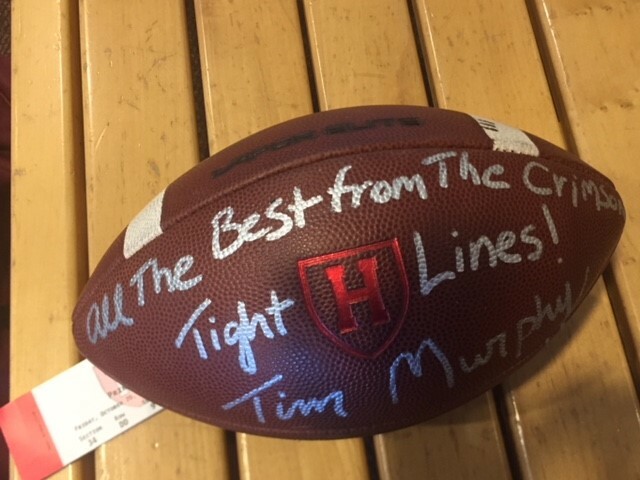 2nd Annual Silent Auction for Ben Abercrombie: Tim Murphy autographed football, Harvard Football apparel AND NE Patriots team autographed football, (including Tom Brady #12! ), Nate Ebner signed jersey and autographed game-worn gloves!!! No Cover. Family-friendly. Food and drinks available. H-Y Cookies provided. Wishbone Trophy awarded to the victorious Club! Benefit Auction of Harvard Football AND New England Patriots Swag. Harvard freshman Ben Abercrombie suffered a serious cervical injury while making his Harvard football debut in 2017. 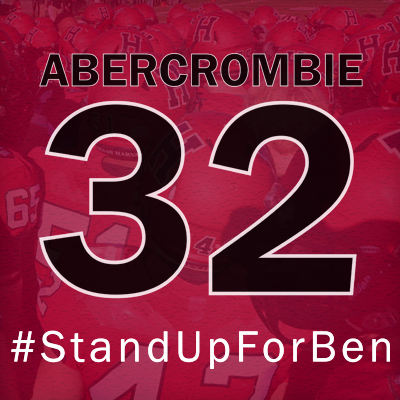 The Benson M. Abercrombie '21 Fund helps Ben and future Crimson athletes who are injured. *Picture from last year's auction. Newly signed ball similar for this year. Sneak Preview: Tim Murphy will be our keynote speaker for the 2019 annual meeting! 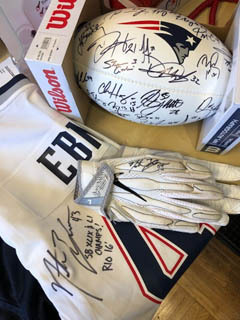 Patriots team autographed football, Nate Ebner jersey and actual worn-in-play gloves! Help the Harvard Club of Cincinnati kick off our 150th anniversary on the 50th anniversary of “A Clash Upon A Darkling Plain”, one reviewer's description of Harvard’s ferocious 16-point comeback (start at 2:41) in the waning moments of the game played in Harvard Stadium a half-century ago. This year holds another historic marker: the 135-year anniversary of The Game will be contested at Fenway Park. 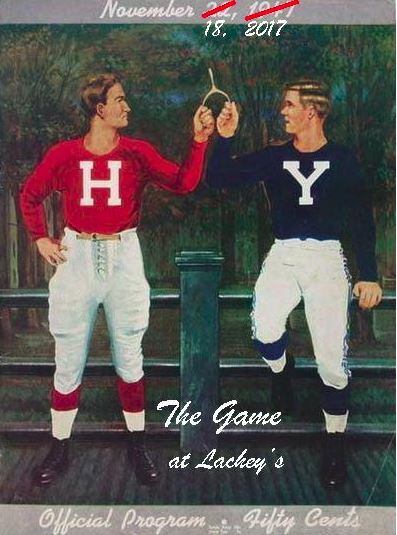 This is the first time since 1912 that The Game will be played at a venue other than Harvard Stadium or the Yale Bowl. Parking is easy…brewery parking lot across the street from the entrance, on the street or around the corner at Findlay Market. If you’d prefer to take the Streetcar, there is a stop right in front of Rhinegeist. We look forward to seeing you! The wishbone theme was inspired by the cover of the Official Program for the 1947 edition of The Game.